Awesome family home with nearly 2400 Sq. Ft. in Grand Ledge Schools (Delta Township taxes). This beautiful Craftsman style home is situated on a spacious lot that backs up to an open field. This home has an open floor plan with custom kitchen cabinetry, breakfast nook, island/bar, and walk-in pantry. This home has a formal dining room with tray ceilings, large family room featuring a gas custom tile fireplace, full basement with two egress windows to let the natural light in, and plumbed for an extra bath waiting to be finished. The second level features all three bedrooms, open loft area that could be easily converted to a fourth bedroom or simply used as a home office, master bedroom bath suite has his and hers sinks, corner whirlpool tub, separate shower and 2 spacious walk-in closets. Call List agent today to schedule your own private tour. 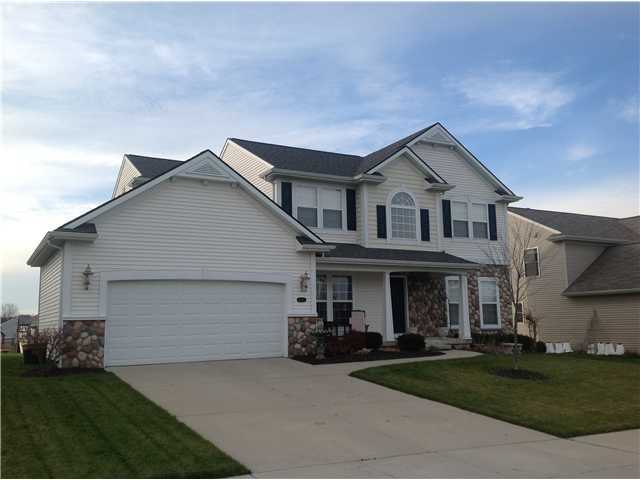 Posted on November 20, 2012, in Grand Ledge Featured Listings, Grand Ledge Listings, What's New?. Bookmark the permalink. Leave a comment.